It’s a show for the generations. 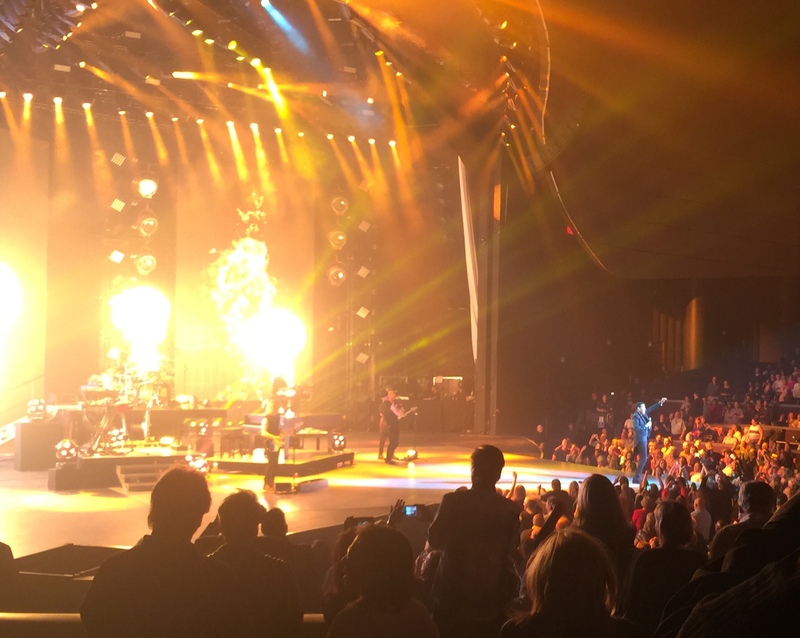 When Lionel Richie took the stage Wednesday night at Planet Hollywood’s Axis Theater, everyone from Millennials to the Greatest Generation filled the capacity audience, ready to party all night long (yep, we went there). That cross-generational appeal comes as no surprise to Richie. He touches on it throughout the show whether he’s referencing his years in The Commodores, working with Michael Jackson and Prince, or comically detailing the course of love and the role his music has played in relationships over the years. “You’re in love and you want to tell the whole world how in love you really are. So you run home,” Richie jokes before launching into a list of music formats that reminds you just how long Richie has been creating hits. “You grab your album, your CD, your cassette, your 8-track. I’ll even let you download Pandora and stream. “Who you gonna call?” he asks, already knowing the answer. “Lionel Richie!” the audience screams. 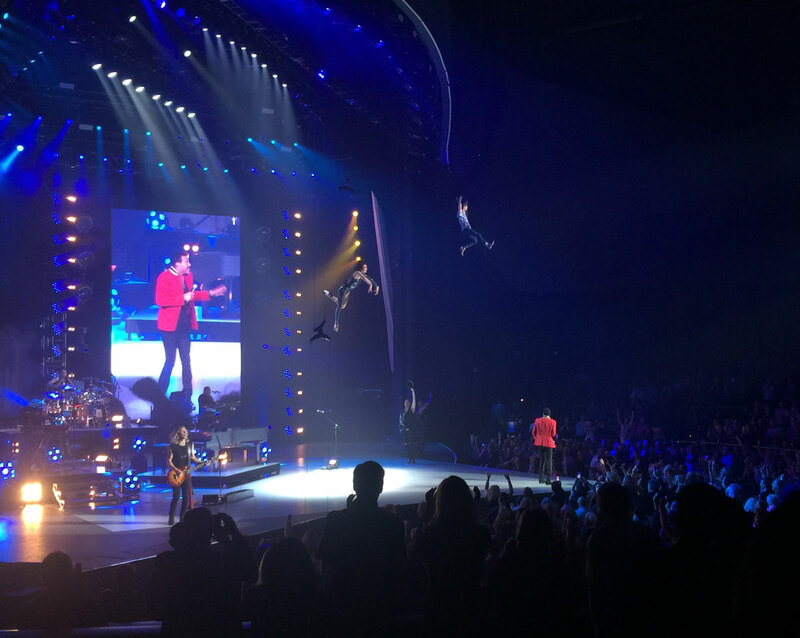 “Dancing on the Ceiling” gets an extra special treatment in Lionel Richie’s show. Freed from the constraints that hamstring touring shows, Richie takes advantage of the Axis Theater set-up to literally have a aerialists dance on the ceiling. Photo by Jennifer Whitehair / Vegas.com. There aren’t too many artists who can bridge that many generations. But Richie’s broad fan base comes as no surprise to anyone who saw his energetic appearance at 2014’s Life Is Beautiful festival in Vegas. Sadly there were no conga lines in the audience last night, more from lack of space rather than lack of enthusiasm. Speaking of room to boogie, with artists like J. Lo, Pitbull and now Richie doing shows in the Axis Theater we really need a dance floor near the stage that doesn’t necessitate a VIP ticket. Offer a limited number of general-admission tickets for a standing-room-only dance floor in the front and it’ll be packed every night. Despite the lack of space, Wednesday’s audience was on its feet any time Richie launched into his hits (which was often). The show is titled “All the Hits” and Richie performs a slew of them. “Dancing on the Ceiling,” “Running With the Night,” “Ballerina Girl,” “Easy,” “Endless Love,” “Three Times a Lady,” “Sail On,” “Truly,” “Hello,” “All Night Long,” “We Are the World” and many more make up the set list interspersed with Richie’s jokes and heartfelt comments. The recent passing of Prince did not go unremarked as Richie spoke frankly about losing both Michael Jackson and Prince too early. “That brother [Prince] was a badass. There is nothing close to his talent,” he remarked and then dedicated his performance of “Say You, Say Me” to him. Lionel Richie has the audience members on their feet with a funk mash-up of “Brick House” and “Fire.” Photo by Jennifer Whitehair / Vegas.com. Jackson and Prince were not the only mega performers to come up in Richie’s show. He teased audiences into thinking that Diana Ross might join him on stage for a duet of “Endless Love,” only to joke that she turned him down. It may be wishful thinking, but given Ross’ recent Vegas residency it would be awesome if one night that joke came true. Richie and Ross on stage would be bigger than Lady Gaga and Tony Bennett. Until that epic day, we’ll celebrate Richie’s current show packed with hits including classic songs from his days with The Commodores and a stellar mash-up of “Brick House” with a pyrotechnic-backed version of “Fire.” “Brick House” is funk at its finest and you can never have too much funk or too much Lionel Richie. 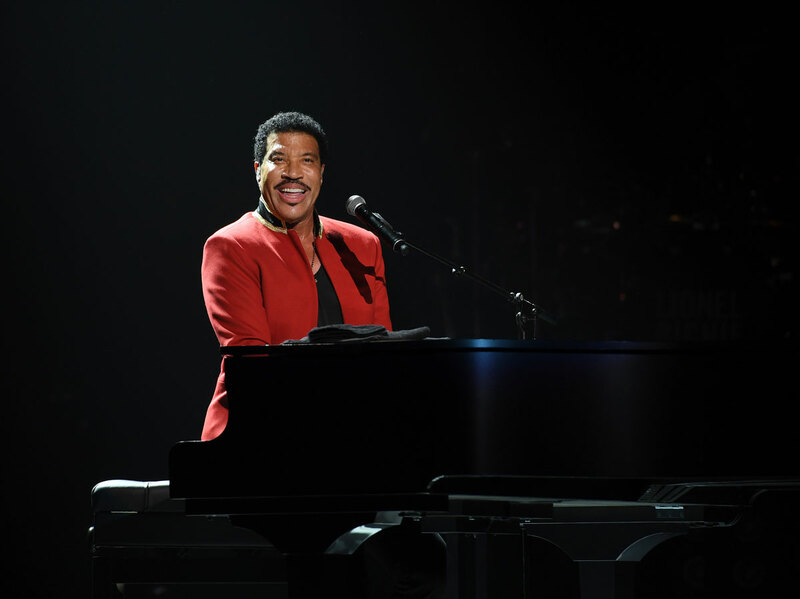 See Lionel Richie in Vegas on select nights through the month of May.